Hello and Happy Tuesday evening! I wanted to share my Pallet Card made with the Concord and 9th Petals and Pallet Bundle and the Happy Balloons Bundle! I loved the idea of a Pallet Sign Card! Pallets are so popular now. 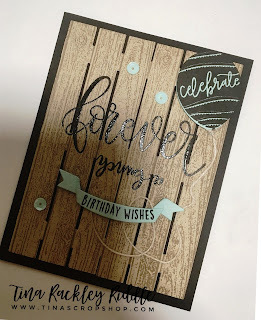 After I cut two pallets out of Kraft Cardstock, I used the coordinating wooden plank stamps in SU Crumb Cake Ink to add the woodgrain. 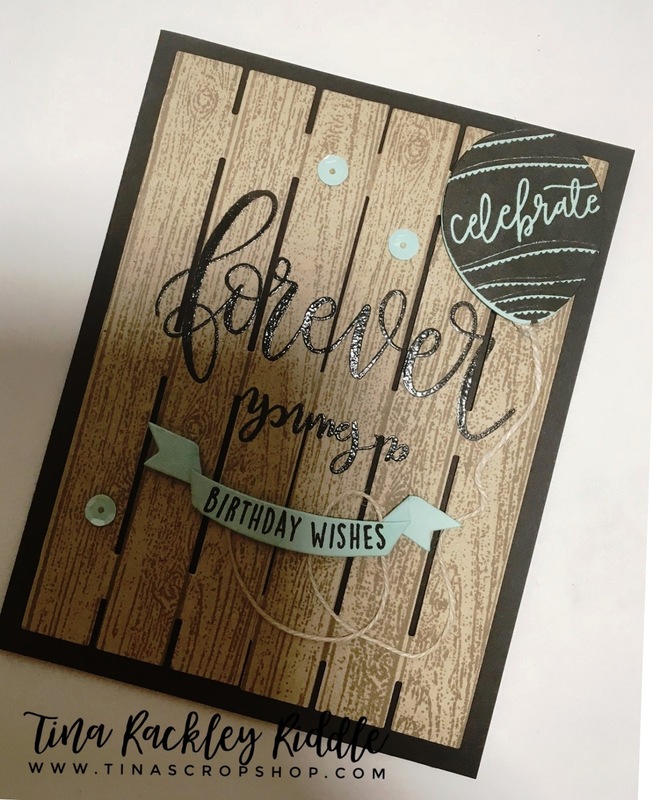 I heat embossed the Forever Young sentiment in Black to make it stand out. The Celebrate Balloon and Birthday Wishes banner were stamped in Black on Soft Sky Cardstock. Those were both from the Happy Balloons Bundle. I cut out the banner prior to stamping the sentiment... I found that made it easier. To finish it off I added some Doodle Bug Sequins and some Natural Thread for the Balloon String. I love how it turned out. Hope you do too! Have a wonderful day! Love your card! May I ask what set you found with the “YOUNG” scripty word? I am a big Concord and 9th fan and can’t find that word in a stamp anywhere. Would love your source if you would be kind enough to share! Stamping Higs!